If you come to Spain, you need to know a few important things. Eating and drinking together are Spaniards’ principal ways of spending time together, either at everyday leisure moments, weekly on Sundays, or on special occasions. If you’re planning a trip to Spain, brushing up on the traditions and customs of the region will help you make the most of your vacation. 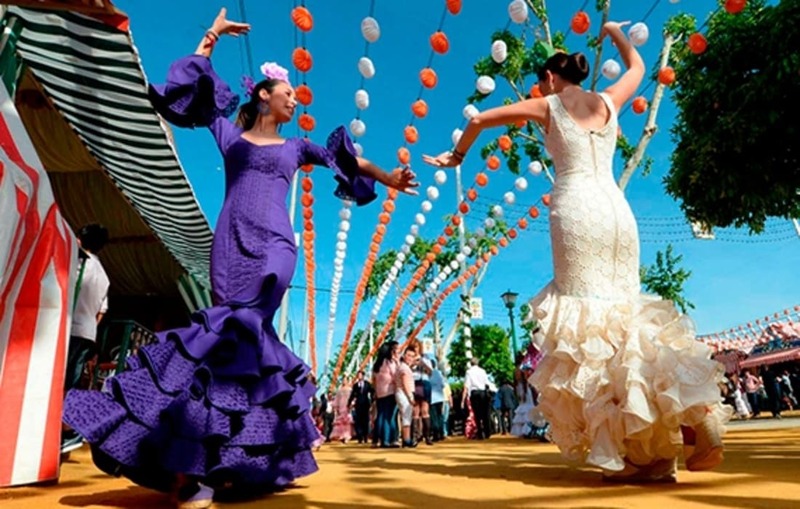 While many Spanish traditions like tapas and flamenco dancing have become legendary around the globe, knowing where to experience them in Spain can be difficult for some tourist. That’s why we are here to help you. Tourists will quickly realize that Spanish meal times are completely different from those found in other parts of the world. It’s important to remember this when you plan your activities for the day. Miss the narrow windows for each and you end up eating on your own or in a substandard touristy restaurant. Light breakfast starts early with a coffee and toast, topped with tomato and olive oil. Around 10.30 most people will have something sweet over coffee. The most important meal of the day is the lunch around 13.30 to 16.00 hours. Dinner or tapas are typically enjoyed around 21.00 in the evening, but a sit-down full meal usually starts at 22.00. Sometimes even later in summertime. Every tourist who comes to Spain wants to try tapas, one of the most famous of Spain’s traditions, but many are not aware of the culture around this style of dining. A tapa is not a type of food, it’s a way of eating it. Tapas are small portions, but they can be of any of Spain’s many traditional dishes. To “go for tapas” (tapear in Spanish) does not mean ordering a lot of dishes in one restaurant (though, you can! ), but to bar-hop, eating a different tapa in each bar. Flamenco is perhaps the most famous Spanish tradition but also one that is often misunderstood. Flamenco is not a dance but does sometimes have dancing in it. Rather it’s a musical style with far more emphasis on the guitar, vocals, and rythm than on the dancing. The Spanish siesta is a tradition that everyone knows about. In Spain, lunch is the biggest meal of the day. This, combined with the fact that Spain usually experiences high temperatures at midday, especially in the summer, makes doing any type of work or activity, hard. It also means that most businesses and stores close between 14.00-16.00 hours, so employees can go home, eat, and take a rest from working during the hottest part of the day. While some find the persistence of the habit of a daily siesta charming and colourfully quaint, many others find it a downright inconvenience. Bullfighting, the most controversial of Spanish traditions, is a mixed blessing for Spain. Many tourists are very curious to see it and view it as a fascinating insight into Spanish culture, but it is also a stain on the country’s reputation for others. Bullfighting is nowhere near as popular as it used to be, but it still features prominently in the country’s self-image.